Abstract: Economist William A. Darity has proposed a federal job guarantee with decent wages for all job seekers, an idea with deep, but largely forgotten, roots in US history. The article briefly explores some New Deal job-creation efforts and President Franklin Roosevelt’s proposal for an Economic Bill of Rights. It then focuses on two major attempts to secure full employment through legislation. The Full Employment Bill of 1945 was defeated; the compromise, the Employment Act of 1946 did not have full employment as its goal. 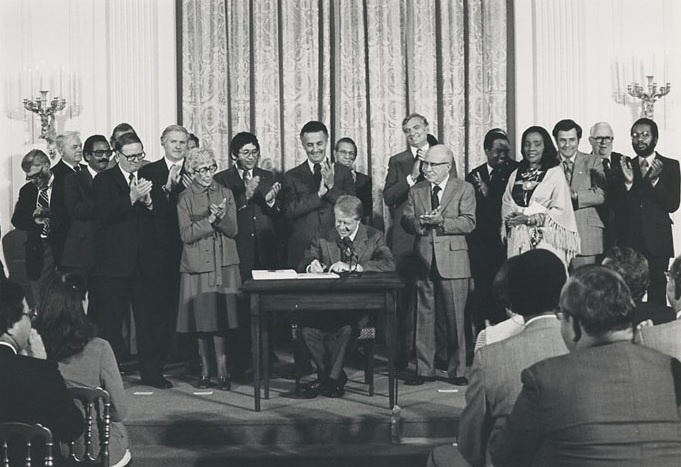 After years of struggle, a much-weakened HumphreyHawkins Full Employment and Balanced Growth Act of 1978 passed, but then was violated and virtually ignored. Full employment shifts power from capital to labor, so major opposition can be expected from efforts to obtain it. Proponents need more power and a strong movement, including at the grassroots level, pushing for jobs for all–not just jobs for me or my group. Publicizing the benefits of past job programs and reintroducing the idea of a decent-paying job as a right are suggested, as well as making decent jobs for all the center of economic policy. This requires a fundamental break with neoliberalism and reallocating political power away from big business and Wall Street toward middle and working-class people and the working- and non-working poor.